Ever since man bolted a motor to a bicycle, touring has been one of the true joys of motorcycling. Sure, bouncing around town from errand to errand is easy, and commuting to work is practical – but travel by motorcycle expands the mind, relaxes the spirit and enriches the soul. There’s nothing quite like it. Experiencing a place you’ve never been by breathing its air deeply and engaging its characters freely is a sensation you just don’t get in a car. But if you’re reading this, you likely already knew that. 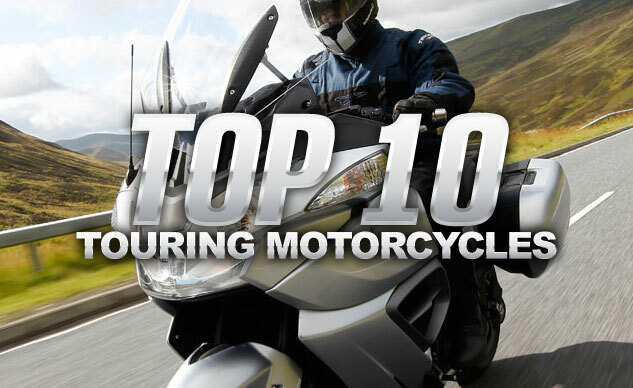 Submitted for your approval: The Top 10 Touring Motorcycles.